Quickly becoming one of the most sought-after locations within Sonoma County, Healdsburg is often called the “crown jewel” of the county. Perhaps it is the small-town ambiance paired with all the sophistication and elegance of a large cosmopolitan city that draws you. Maybe it’s the ideal location between Fitch Mountain and the Russian River Valley, or being surrounded by world-class wineries, exceptional shopping, and five-star dining. No matter what draws you to the area, local Healdsburg real estate expert Mary Anne Veldkamp looks forward to introducing you to the community and to the many wonderful real estate options available to you. Often compared to the finest wine-growing regions of France and Italy, based on quality of wine, ambiance and environment, the Healdsburg area is just an hour and fifteen minutes north of San Francisco and is the gateway to the world-renowned ancient Redwoods of Northern Coastal California. Healdsburg real estate encompasses a wide range of homes including everything from Victorians to one-of-a-kind architectural masterpieces tucked away in the rolling hills. Vineyards are also widely popular throughout Healdsburg. Neighboring communities include the areas of Windsor, Cloverdale, and Santa Rosa. For more information on Healdsburg real estate or to explore the opportunities available to you throughout Sonoma County real estate, Realtor Mary Anne Veldkamp welcomes you to contact her via phone or email. 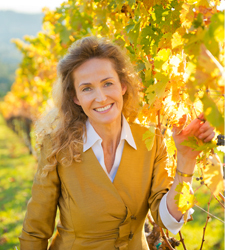 She encourages you to browse her website to learn more about the local area, its real estate market, and the services she can offer you as a Sonoma County real estate expert. Connect today to get started!